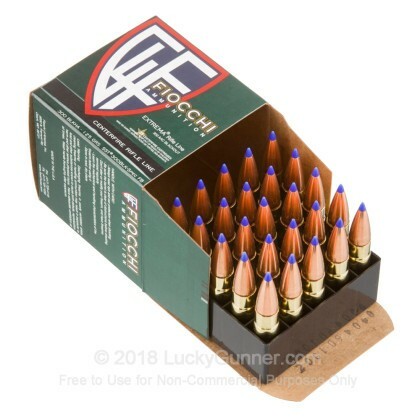 Fiocchi ammunition has a reputation for being high quality and very reliable. 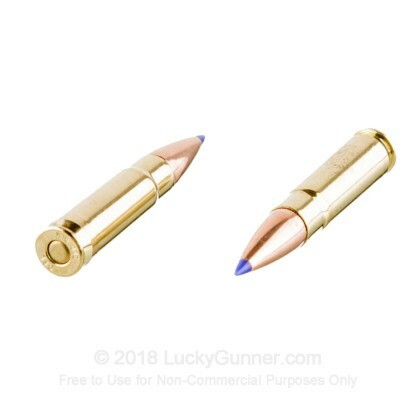 These new production 300 AAC Blackout rounds are loaded into boxer primed, brass cases that are re-loadable and propel a 125 grain Super Shock Tip (SST) projectile at 2,200 feet per second. These SST projectiles are made by Hornady and are purposefully built to deliver hard hitting, controlled expansion, even at high velocities. 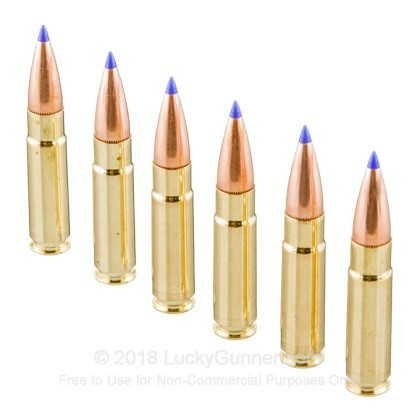 These bullets feature a polymer tip and cannelure to improve the ballistic coefficient and ensure accurate and consistent crimping. Hornady also incorporates an Interlock Ring to keep the jacket and lead core locked together throughout expansion. Since 1876, Fiocchi has been manufacturing high quality ammunition. This Italian based company produces millions of small arms rounds each year and exports them world wide. They have a manufacturing facility located in Ozark, Missouri that manufactures 95% of the rifle cartridges and 100% of the shotshells that are sold in the US. 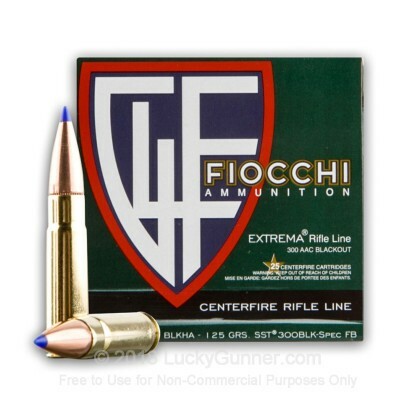 Fiocchi also is responsible for producing ammunition that is used in World Cup and Olympic events. 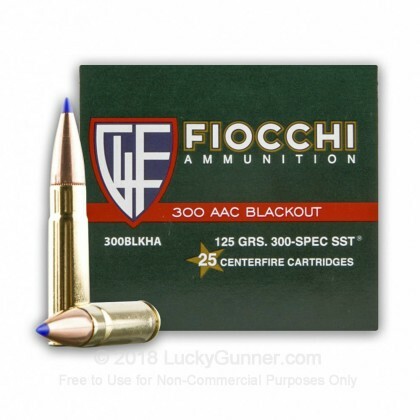 Pick up a couple boxes of this high quality 300 AAC Blackout ammunition today! 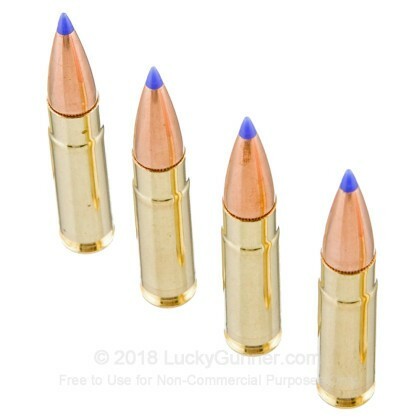 Ammo came very fast, and I took it to the range immediately. First 100 rounds out of my new AR and not a single issue. I will definitely be buying the 500 round packs from now on, knowing it will feed reliably. This is what I'll be having loaded in my bump in the night gun until I get my suppressor. I used this to sight in the red dot on my Springfield Armory SAINT AR-15 pistol in .300 Blackout. Very accurate at 50 and 100yrds. Even with shortened barrel I achieved very tight grouping. Good ammo. Seems to be really accurate. I'm interested in doing some ballistic tests with it. I shot a doe with this last season. I shot her through the heart. The bullet expanded and passed through. She dropped and didn't take one step. The range was about 30 yards.